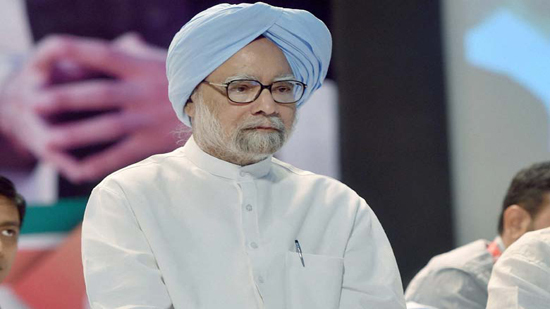 New Delhi, Nov 8:Describing Demonetisation as an ‘ill fated and an ‘ill thought’ exercise ‘that has impacted every single person, regardless of age, gender, religion, occupation or creed, senior Congress leader and former Prime Minister Manmohan Singh on Thursday called on the government to ‘restore certainty and visibility in the Indian economy. In a statement on the second anniversary of the announcement of demonetisation by Prime Minister Narendra Modi, Dr Singh called on the government not to resort to measures “that can cause any more uncertainty in the economy and financial markets”. ‘Today, marks the second anniversary of the ill-fated and ill-thought demonetisation exercise that the Narendra Modi government undertook in 2016. The havoc that it unleashed on the Indian economy and society is now evident to everyone. ‘Notebandi’ impacted every single person, regardless of age, gender, religion, occupation or creed,’ Dr Singh said. ‘It is prudent to not resort to further unorthodox, short-term economic measures that can cause any more uncertainty in the economy and financial markets. I urge the government to restore certainty and visibility in economic policies. Today is a day to remember how economic misadventures can roil the nation for a long time and understand that economic policymaking should be handled with thought and care,” Dr Singh said. Small and medium businesses that are the cornerstone of India’s economy, are yet to recover from the demonetisation shock. This has had a direct impact on employment as the economy continues to struggle to create enough new jobs for our youth. The financial markets are volatile as the liquidity crisis wrought by demonetisation is taking its eventual toll on infrastructure lenders and non-bank financial services firms. “We are yet to understand and experience the full impact of the demonetisation exercise. With a depreciating currency and rising global oil prices, macro-economic headwinds are also starting to blow now,”Dr Singh added.